Pakistan's helicopter fleet has been ageing and while infusion of new helicopters in the form of UH-60s (potentially), Mi-17s and others, there is a perceived shortage of airframes. This is due to the present war in the tribal areas, where helicopters are at a premium and their shortage is being felt while simultaneously rapidly ageing and depreciating the fleet. It is also due to the extreme topography of Pakistan's north, where an undeclared border conflict continues to consume resources against India. Helicopters are also an important consideration in terms of the topographic scenario not only in the north but also to the east, where any future conflict with India requires conflicts across rivers and other natural barriers. In contrast to India's huge fleet of growing helicopters including now locally manufactured units, Pakistan has a long-term perceived need of maintaining a semblance of comparability. One of the key features of the Pakistani helicopter fleet is the diversity of the helicopters available. These include AH-1s, IAR 330, Aerospatiale Alouettes, AS350, UH-1, Bell 412, 206 Jet Ranger, Mi-17s, Z-9s and more. This wide diversity of helicopters with often a small number of units of each type adds a great deal of maintenance and operational issues that adds both expense and consumes significant resources. The attack helicopter presently in use is also ageing and rapidly losing its operational capability at a time it is needed the most. The AH-1s have been highly successful in FATA and Swat and their dwindling numbers is a serious cause of concern. Pakistan Army (PA) is presently looking at potential replacements including potentially the Z-10 and the Turkish T-129 but funds remain scarce and these deals seem far off. The point remains that even if such a deal goes through, PA will not be able to buy the quantities that the present operational conditions and the long term requirement vis-a-vis the topography in the North and the challenge from the East pose. Perhaps the answer to this quandary is to replicate the JF-17 and Al-Khalid programs and build an equivalent helicopter plan. One possible solution is to look at importing blue-prints and know-how coupled with joint development. Such a solution could find a partner in China or Turkey. Yet another solution exists. Given the geo-strategic situation, the US cannot be seen to contribute much post-2014 when their troops leave Afghanistan. Meanwhile, the new Iranian government is showing positive overtures to Pakistan. Iran produces UH-1 / AH-1 helicopters and has the blue prints and production line. While Iranian helicopters are of doubtful quality, if manufacturing of these can be obtained under the table, Pakistan could have an ideal platform to begin helicopter production at minimal cost. Utilizing better technology and higher quality machine tools, Pakistan would produced significantly higher quality aircraft. If technology partnerships can be made with South Africa, China and Turkey in terms of sub-systems and components, the AH-1s and UH-1s could be updated to a competitive offering. In addition, given the huge market of AH-1s and UH-1s globally, this is one product that can be sold as replenishment, spares or even new procurement. It is after all, much easier to add an existing type rather than procure a new type which are often significantly more complex and costly. The present US AH-1 Super Cobras offered have also evolved significantly and are not equivalent to the original AH-1s so the path is clear to make a meaningful inroad into the international market. It is often said that with every challenge comes an opportunity. The present challenge in FATA, the decades long war in Siachin, and the new threat posed by India with its wild procurement of advanced helicopters and local production may just be the challenge that can become an opportunity. Best solution for Pakistan Army is to have Pakistan Govt establish a comprehensive framework with China, where military aid would be granted to all three services of Pakistan. Since that traitor zardari is on his way out, China is becoming receptive and more keen on establishing stronger ties with PML-N Govt. If Pakistan Army can have Pakistan Govt establish deep understanding that Pakistan's foreign policy would be pro-China, then China would be confident enough to give Pakistan Military all it needs to grow more powerful. This sort of military aid would be similar to that of what America gives to israel. With such a military aid program in place, Pakistan Army can acquire a greater quantity of WZ-10 Gunships, as well as, Military-Cargo helicopters. In addition to this, Pakistan Army Aviation could establish its own Rotary-Overhaul plant/s. This would allow PAA to achieve higher serviceability rates and would increase operational availability of all rotary assets. Lets face it, there is no possibility of Pakistan Army getting large quantities of gunships and cargo helicopters from the open market, given the dire economic situation left by the traitorous, looting thugs of the previous govt. Pakistan should go for universality as much as possible in its fleet to make ease and cost effectiveness for the maintenance and operation of helicopters. 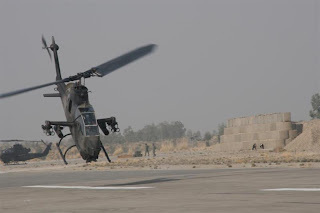 Given the success that PA has had with the AH-1 they should feel very comfortable replacing them with a similar sized attach heli like the WZ-19. It has similar characteristics but PA would be able to get it with more advanced weaponry such as the HJ-10 or AR-1 or the CM-502KG. Discuss production of Mi-17 with Russia as this is a rugged chopper that is comparable to most medium weight multipurpose choppers like the blackhawk...even though it is ugly as sin. Another option could be the Z-15 in the future. In addition to this, Pakistan Army Aviation could establish its own Rotary-Overhaul plant/s. This would allow PAA to achieve higher serviceability rates and would increase operational availability of all rotary assets. Pakistan Army and PAF do have overhaul depots. PAF has an overhaul depot at PAF Faisal. Similarly, PAA has overhaul facilities for Puma, Alouette (being retired), Lama...the American helos such as Bell 412 and Cobra still have to be sent abroad for overhauls (but they are relatively new, especially the Bell 412's). The need for sending these helis (Mi-17) abroad for overhaul is because of over utilization of the overhaul facilities due to WoT and other uses. Engines and transmission are sent to Ukraine for overhaul in any case. Pakistan should establish research & development facility to design its own home made helicopters, and to study the other manufacturers products. With all respect, The matter is, financial funding, brains and experts are needed for these kind of projects. The down side is, brains and experts are fleeing Pakistan because they cant get jobs, or those who are settled overseas will not return because of social insecurity and will feel treated injustly by egoistic superior officers and officials. Meaning, they will want their shares before this kind of project starts. Financial Fundings, the workers have their personal expenditures to pay and live for, if they arent paid then they have to obviously find another job. The commitment from above levelled officials is very vital and supportive for the workers to succeed a healthy project on the long run. E.g. Rocket Sciences, jet engine technology, missile technology, sattelite technology, radar technology, wave and frequency technology, nuclear technology, all came to existance from Nazi Germany, Allied Forces against Nazi Germany before 1945, then the transition to the Cold War between Russia and usa, the West. All dependant of one thing, strong political leadership and strategical military interests, combine these together then the result would be like american, Russian and Chinese military hardware of various types. Something Pakistan must and have to learn, like when acquiring nuclear technology, JF17 Thunder project, joint Pak China project ventures, Khalid Tank project, making own guns, rifles, military hardware, which i personally think is less due to the no attention and focus from the Pakistani leadership. Pakistan can make a. Lot of military toys, but it will take time and a healthier bugdet, nothing is free. Which we naturally, logically and obviously all know that there arent any brave and corrupt-free political leaders will ever do favouring the country's strategical military hardware interests in the long run. South African Rooivalk with its ATGM Mokopa of range ~10km is also a good option as PAf also gets missiles from South Africa. not dependant on hellfire ATGM unlike T-129 etc. Although I would prefer the Wz-10, the Turkish T-129 offer is on ideal terms for Pakistan because of the technology transfer offer. Turkey understands in order to have good export success they need additional production facilities of Kamra plus use in Pakistan's war on terror would be excellent PR for the T-129. The Chinese have a big domestic need for gunships so might not be able to provide helicopters on priority basis. The only reason why I see PA dragging on with the Ah-1 Cobras is because they might have been being maintained via coalition support funding from the US. Once thats over PA would be pressed to replace them ASAP. T129A EDH (Erken Duhul Helikopteri) T129A is the "combat support" version equipped with a 20 mm gatling gun and rounds and can carry 70 mm (2.75 in) rockets; nine T129As have been ordered. Six helicopters have been produced and delivered to the Turkish Army. The T129As are to be upgraded to the T129B standard later. T129B T129B is the "multi-role" version equipped with the leading edge electronic warfare systems. 51 helicopters are to be produced, with one to be used as a weapons testbed. The T129B is armed with a 20 mm gatling gun and can carry a payload of 8 UMTAS, 12 Roketsan CIRIT, and 2 AIM-92 Stinger missiles. Pakistan should opt for the cheaper T-129A with Bakthar Shikan / TOW firing capability at the moment to replace Cobras 1:1. Turkey has stressed that the T-129 has the best operation costs for any gunship and since our immediate need is for there use against the TTP militants the basic version should be enough for PA. They could be upgraded to B standard later on for a more advance adversary. For the transport fleet since Aerotron is blacklisted by PA for leaking sensitive information to the US, this rules out further US heli options. Pakistan should opt for more Mi-17s (Production expected to shift to China), AS 350s (as it has proven high altitute performance) and Z-9s (general purpose helicopter for PA).